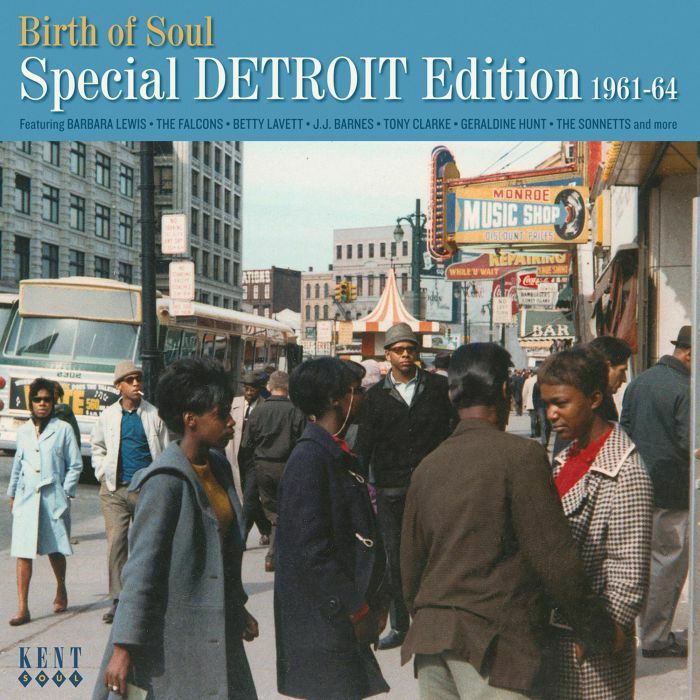 BIRTH OF SOUL: SPECIAL DETROIT EDITION 1961-64. Twenty-one years have passed since the very first instalment in the Birth Of Soul compilation series was released by Kent Soul in May 1996. Birth Of Soul featured an impressive all-star lineup, that included many of the giants of soul. Bobby Bland rubbed shoulders with Otis Redding, Jerry Butler, Etta James, Sam Cooke, William Bell and The Impressions. With a track listing that featured a who’s who of soul, it was no surprise that Birth Of Soul was released to critical acclaim and was one of Kent Soul’s most successful compilations. Despite that, nobody thought that Birth Of Soul was the start of a compilation series that would still be going strong three decades later. Especially when nearly two years passed before the release of Birth Of Soul-Volume Two in 1998. By then, it looked as if Birth Of Soul was a one-off compilation. Then came the release of Birth Of Soul-Volume Two in February 1998. It featured a mixture of old friends, familiar faces and new names. However, just like Birth Of Soul the emphasis was on quality, on a compilation that featured old favourites and hidden gems. Birth Of Soul-Volume Two proved popular not just amongst the soul community, but with music fans dipping their toe into soul music. The Birth Of Soul was a perfect place to start and became an important part in many a newcomer to soul’s musical education. They awaited the next instalment in the series. 2,059 days later, and Birth Of Soul-Volume Four was released in May 2007. Ady Croasdell had dug deep for the twenty-four tracks on Birth Of Soul-Volume Four. There were rarities, hidden gems and the usual smattering of familiar faces and old friends. Birth Of Soul-Volume Four was a welcome addition to the Birth Of Soul family. So was Birth Of Soul: Special Chicago Edition, which was released in 2009. This was a celebration of the Windy City’s soulful past. After all, Chicago had been home Veejay, Kent, Okeh, ABC-Paramount, One-derful, Brunswick, Curtom, Chess and Cadet. Compiler Tony Rounce had plenty of music to choose from for this celebration of Chicago’s illustrious musical past. 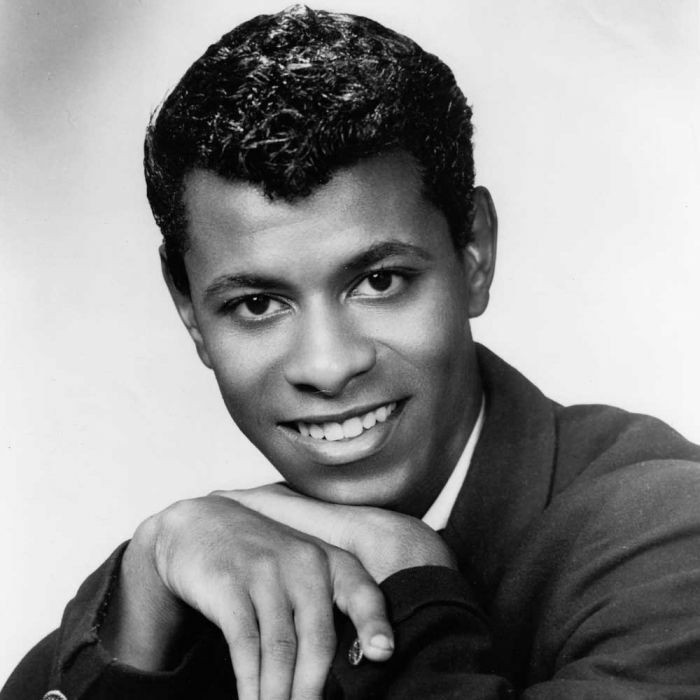 Eventually, he settled on an all-star lineup that included Jerry Butler, Major Lance, Etta James, Barbara Lewis, The Bells, Sugar Pie DeSanto and Gene Chandler. This fifth instalment in the Birth Of Soul series proved a popular addition to Kent Soul’s long-running and successful series. Sadly, since the release of Birth Of Soul: Special Chicago Edition, there’s been no further instalments in the Birth Of Soul series. That was until recently, when Birth Of Soul: Special Detroit Edition 1961-64 was released by Kent Soul, which is an imprint of Ace Records. Just like Birth Of Soul: Special Chicago Edition, Birth Of Soul: Special Detroit Edition 1961-64 is a celebration of another of America’s soul capitals. During the period that Birth Of Soul: Special Detroit Edition 1961-64 covers, the Detroit music scene was thriving. Especially on West Grand Boulevard, where the Motown soul factory continued to churn out its sanitised version of soul. This was proving popular on both sides of the Atlantic. Elsewhere in Motor City, many other smaller independent labels were blossoming. These labels were recording everything from blues and gospel to R&B and rock ’n’ roll. Other labels followed in the footsteps of Motown, and specialised in soul. This includes the labels that feature on Birth Of Soul: Special Detroit Edition 1961-64, which is the sixth instalment in the Birth Of Soul series. Birth Of Soul: Special Detroit Edition 1961-64 is a twenty-four track compilation that features Barbara Lewis, J. J. Barnes, Bettye LaVette, The Falcons, Priscilla Page, Laura Johnson, James Lately, The Pyramids, Tony Clarke, Geraldine Hunt and The Del-Phis. They’re just a few of the artists that feature on Birth Of Soul: Special Detroit Edition 1961-64. The Sonnettes open Birth Of Soul: Special Detroit Edition 1961-64 with I Cried For My Last Time. This is an unreleased track that was recorded on Armen Boladian’s short-lived K.O. Records, which only ever released two singles, both by The Sonnettes. They released their debut single I’ve Gotten Over You in August 1962, but it failed commercially. When The Sonnettes entered the studio to record their sophomore single, they decided to record a song that Thelma Gordy cowrote, I Cried For The Last Time. Sadly, the song was never released as a single, and has lain in the K.O. Records’ vaults since then. That is a great shame. It features a vocal that’s an outpouring of emotion and the sweetest harmonies. They’re a potent combination, which could’ve transformed the fortunes of The Sonnettes, who released just one further single Hit And Run Lover. By 1963, Barbara Lewis was an aspiring singer-songwriter who had signed to Atlantic Records a year earlier. She was back in Detroit to record her next single with the man that discovered her, Ollie McLaughlin. 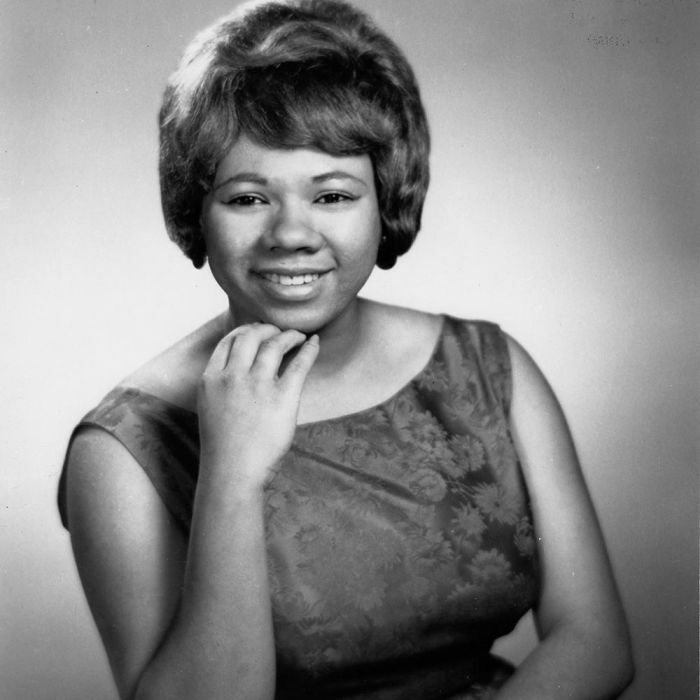 Barbara Lewis had penned Hello Stranger and Think A Little Sugar, When Hello Stranger was released in March 1963, it gave Barbara Lewis her breakthrough single which reached number three on the US Billboard 100 and topped the US R&B charts. 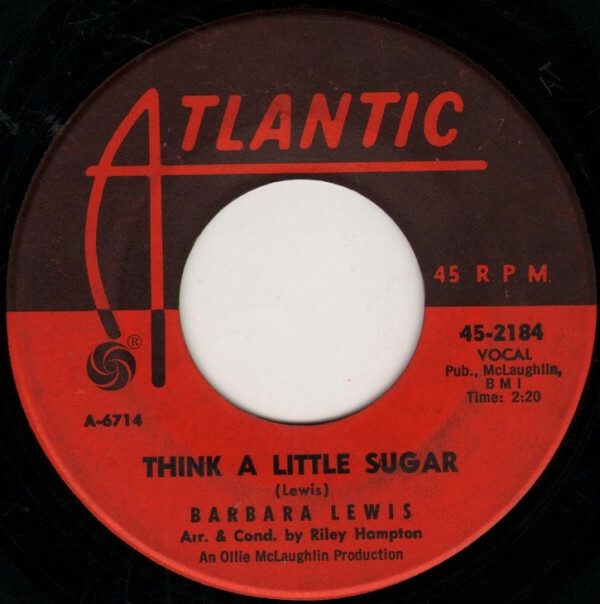 Tucked away on the B-Side was Think A Little Sugar, an uptempo, organ driven which showcases Barbara Lewis’ skills as a singer and songwriter. 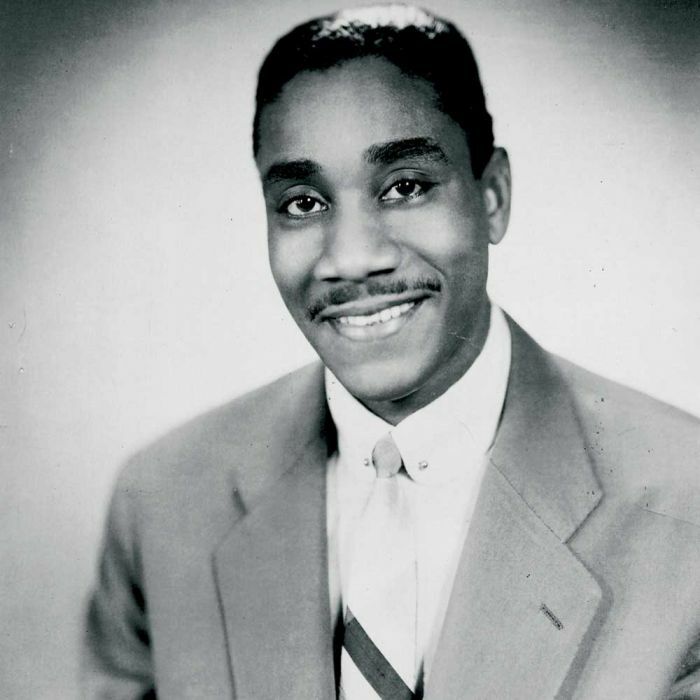 Four years after embarking upon a solo career, J. J. Barnes signed to Scepter Records and was about to release Just One More Time as a single in January 1964. This was a song that J. J. Barnes cowrote, arranged and produced the single with former postman turned music magnet Fred Brown. 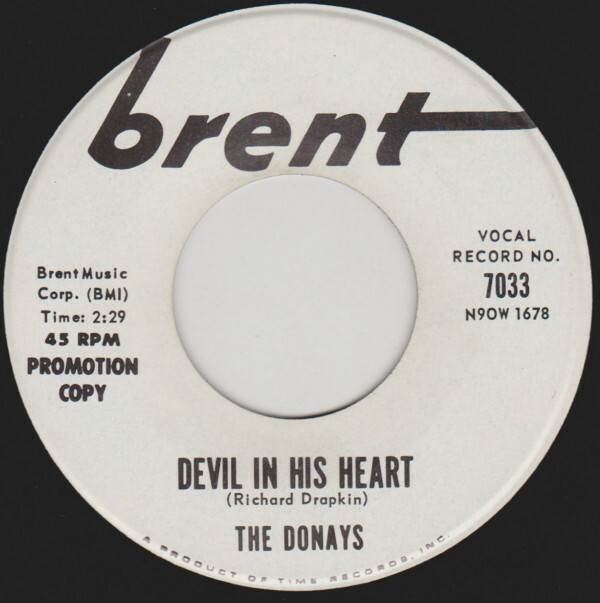 It was originally released on Detroit based label Mickays, in September 1963 and was picked up by local DJ Frantic Ernie Durham. Soon, the song was the toast ofWJLB. Not long after this, Just One More Time was picked up by Scepter Records and should’ve been a game-changer. Alas, the single failed to find an audience, apart from in Ontario, Canada where it charted for a week on CKLW’s local charts. For J. J. Barnes, Just One More Time was the one that got away, and meant he never ever escaped the drudgery of the 9-5 in the Chrysler plant. Sixteen year old Bettye LaVette made a breakthrough with in September 1962 with her debut single My Man-He’s A Lovin’ Man. Just under a year later, she returned with You’ll Never Change. Hidden away of the B-Side was the Jack Thomas and John Thornton composition Here I Am. It features a soulful powerhouse from the youthful Bettye LaVette, who would go on to enjoy a lengthy career. Laura Johnson was a talented and versatile singer, who was capable of seamlessly switching between musical genres. Her career began in the late-fifties, and she sung at some of Detroit’s top clubs. 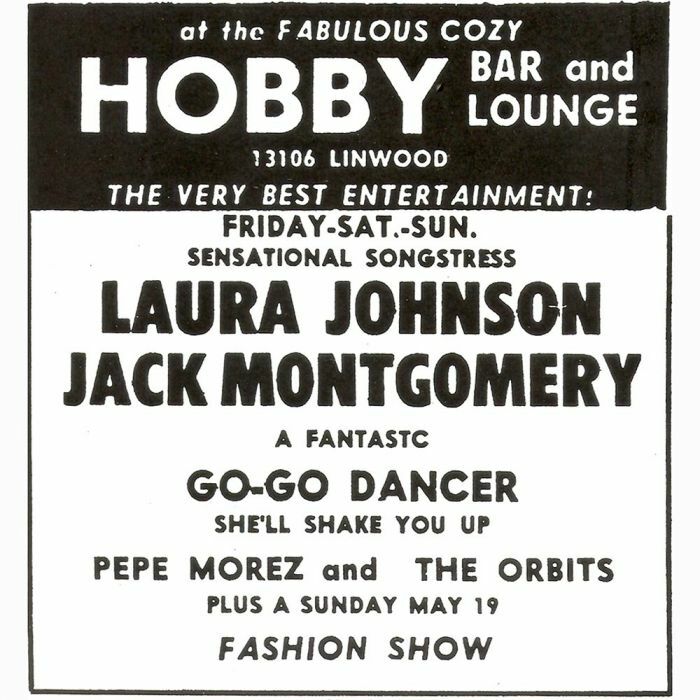 In 1959, Laura Johnson opened for James Brown at Harlem Apollo. It looked like she was going up in the musical world. By 1962, she was no nearer to securing a recording contract. However, when she got at a job as a secretary at one Detroit’s nascent labels, it looked like Laura Johnson’s luck was changing. It wasn’t. She was so keen to record some songs, that she ended up funding the session. Backed by some of Motor City’s top musicians, Laura Johnson recorded I Know How It Feels, which was released in September 1962 on Brent. Although it featured a soul-baring vocal, commercial success eluded the single. Sadly, Laura Johnson’s recording career was over before it had even began, as she never recorded another single. I Know How It Feels is a reminder of a truly talented singer, Laura Johnson. 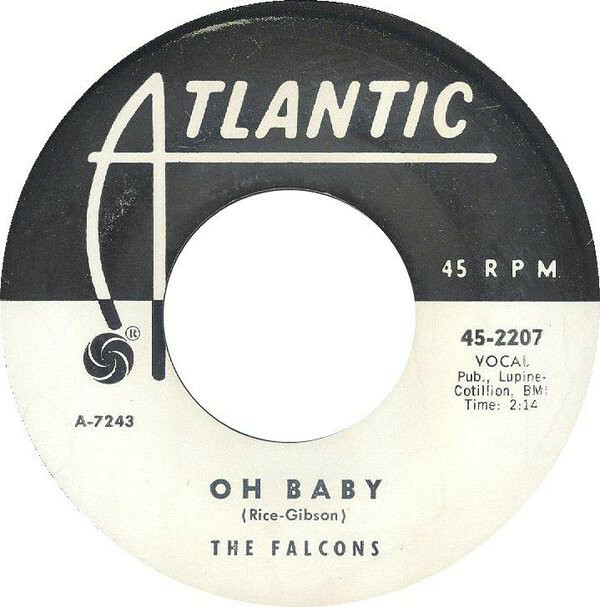 The Falcons recording career began in 1956, when they released : Baby That’s It on Mercury. Six years later and eight labels later, The Falcons signed to Atlantic Records. They released Fine, Fine Girl in October 1963, which featured Oh Baby on the B-Side. This was the stronger of the two sides. When Fine, Fine Girl was released, the single sunk without trace. How different things might have been if the Oh Baby had been released as a single? Maybe this heart-wrenching ballad would’ve brought success The Falcons’ way? Melvin Davis was born in Georgia, but moved to Detroit when he was three. His career began in 1962, when he was twenty. This was the start of a long career for the singer, songwriter, drummer, horn player and producer. 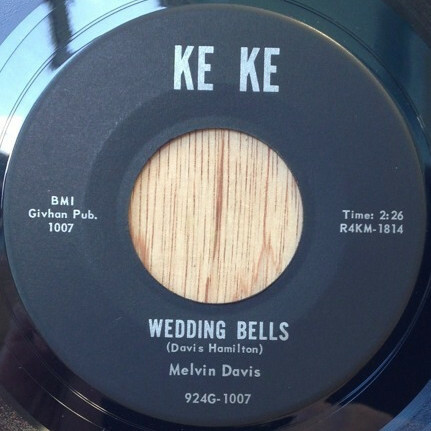 However, in 1963, Melvin Davis released Wedding Bells a song he wrote with Dave Hamilton on the Temple label. Commercial success eluded this single, which is one of several hidden gems on Birth Of Soul: Special Detroit Edition 1961-64. Tony Clarke was born in New York, but grew up in Detroit. That was where his musical career began in 1962, when he released Cry on Armen Beladian’s Fascination label. Another song Tony Clarke recorded for Fascination was one of his compositions It’s Easy. It was never released, and makes a welcome debut on Birth Of Soul: Special Detroit Edition 1961-64. It’s Easy builds on the rock ’n’ roll sound of Cry. This is very different from the music that Tony Clarke would go on to records for Chess Records, after leaving Fascination. The Volumes were discovered by Detroit based musical impresario Willie ‘Tony’ Ewing, who signed them to his Chex label. It released their debut single I Love You in February 1962, which gave the band a nationwide hit. Come Back Into My Heart was released as the followup in July 1962, but failed to replicate the success of I Love You. While this was a disappointment for The Volumes, they felt they weren’t receiving enough money from I Love You. This resulted in group parting company with Chex. After releasing two singles on Jubilee, The Volumes released Why on the Old Town label in January 1964. Although Why was stylistically similar to I Love You, it failed to replicate its success. Why was the one the got away for The Volumes, and is another welcome addition to Birth Of Soul: Special Detroit Edition 1961-64. Although Chicago born Geraldine Hunt’s recording career began in the late-fifties, she didn’t embark upon a solo career until 1962 when she was seventeen. A year later, Geraldine Hunt released It Never Happened Before on the USA label in 1963. Despite being accompanied by an all-star band, It Never Happened Before failed to find an audience and is nowadays is a real rarity. Closing Birth Of Soul: Special Detroit Edition 1961-64, is Nosey Folks, which was recorded by The Del-Phis before they signed to Motown. 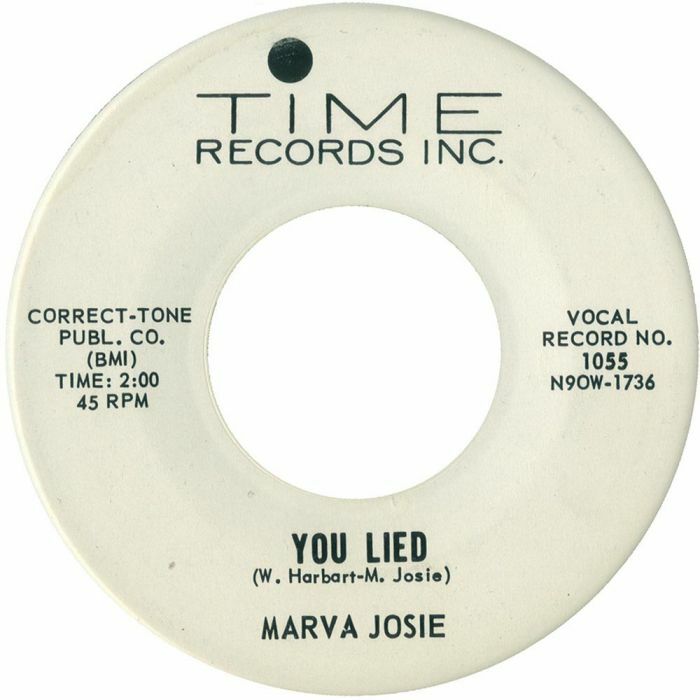 Nosey Folks was penned by Joseph Hunter with Martha Reeves. Once The Del-Phis signed to Motown, the group changed their name to Martha and The Vandellas. Nosey Folk has never been released before, and is essentially Martha and The Vandellas. before they found fame at the Motown soul factory. Seven years after the last instalment in the Birth Of Soul series, Kent Soul, an imprint of Ace Records released Birth Of Soul: Special Detroit Edition 1961-64. It’s the second special edition, that’s been released. Last time, it featured the music of the Windy City. This time, Kent Soul turn their attention to Detroit, and show that Motor City had much more to offer than Motown. Many small labels had sprung up across the city, and Birth Of Soul: Special Detroit Edition 1961-64 features releases from these labels. While some of these artists went on to bigger and better things, others enjoyed never quite reached the heights their talent deserved. Sadly, some disappeared after releasing just one or two singles. They’ve all played a part of Detroit’s musical history and make a welcome comeback on Birth Of Soul: Special Detroit Edition 1961-64. This is the sixth instalment in Kent Soul’s occasional series, Birth Of Soul. The Birth Of Soul series began in 1996, and twenty-one years later is still going strong. Recentlym Birth Of Soul: Special Detroit Edition 1961-64 was released, and features songs from old friends, familiar faces and new names. They contribute unreleased songs, B-Sides and a myriad of über soulful singes to Birth Of Soul: Special Detroit Edition 1961-64, which marks the welcome return of the Birth Of Soul series.